A new book has been released that goes into great detail on the origins of wargaming and other tabletop pursuits. I haven't read it yet but early buzz is strong so I plan to pick it up. Don't let the price scare you as it's over 700 pages long. 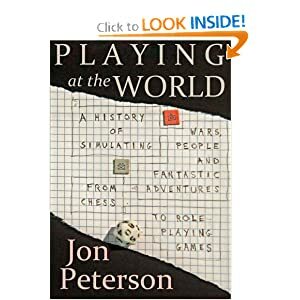 It's called Playing at the World by Jon Peterson and is available at Amazon here!